A local club recently lost its alcohol license after the Pennsylvania Liquor Control Board decided not to renew it, citing fights that have happened outside the club. The club’s solution? Free alcohol. © 2012 by The York Daily Record/Sunday News. 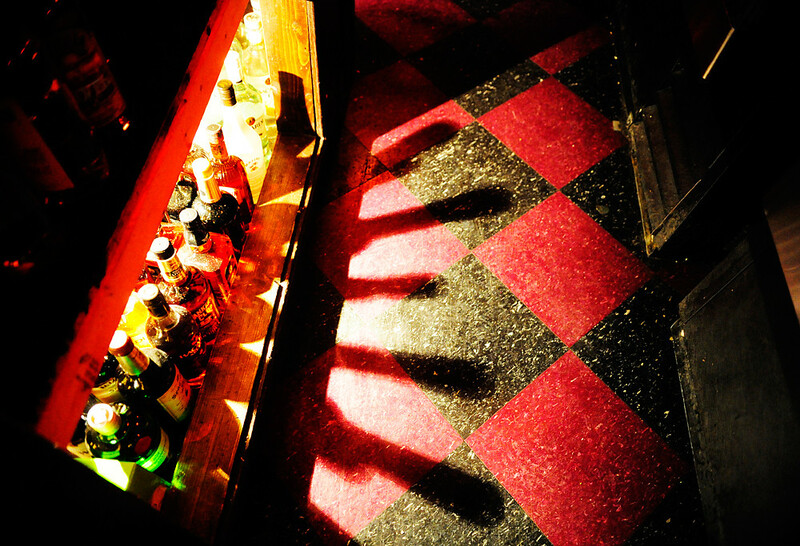 Liquor bottles cast long shadows on the floor of one of the bar areas at Club XS on Friday, Jan. 13, 2012. © 2012 by The York Daily Record/Sunday News. Club XS bartender Travis McCarty mixes a drink at the club's back bar on Friday, Jan. 13, 2012. Full disclosure: I actually made these pictures for an article that ran shortly before the club lost its license. And fortunately, we’d just received our new D3s camera bodies, so I definitely needed every bit of that 128,000 ISO rating.